Over millions of years, biological vision systems evolved very differently in resolution, wavelength sensitivity, color sensing, motion sensing, and reaction time, depending on the specific needs of the corresponding creature. This implies that machine learning is not the only solution. A better machine vision system is obviously one that deeply integrates modern algorithmic approaches including machine learning and modern photonics components adapted to the use cases of the systems. How to do this in the best possible way? 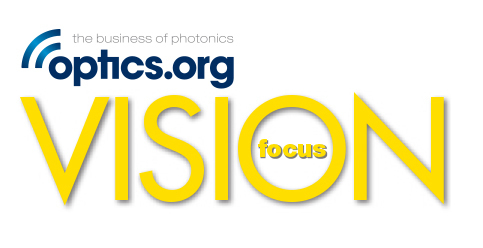 The 4th European Machine Vision Forum explores current progress and shows where we are heading. The European Machine Vision Forum is an annual event of the European Machine Vision Association - EMVA. The aim is to foster interaction between the machine vision industry and academic research to learn from each other, discuss the newest research results as well as problems from applications, learn about emerging application fields, and to discuss research cooperation between industry and academic institutes. The overall aim is to accelerate innovation by translating new re­search results faster into practice. Many conferences target either academic researchers or applied industrial developers. However, on the European level, there is no other forum where research and industry can meet and network. Thus, EMVA's European Machine Vision Forum taking place every year at a different location in line with the selected focal topic of the respective forum fills an important gap. The forum offering conference style presentations and a table-top exhibition is directed to scientists, development engineers, software and hardware engineers, and programmers both from research and industry. Plenary sessions with contributed and invited, carefully selected talks, presenting a broad variety of a focused topic of the forum. Extended coffee and lunch breaks and evening get-together for Networking. Teaser sessions dedicated to poster presentations as well as hardware and software demonstrations with ample room for discussions in small groups. Each participant can submit papers and posters for free and also show demos (table-top exhibition possibilities). Each participant will receive a certificate of his participation detailing the program. All talks will be recorded and participants will receive links to the recorded material in the form of interactive online applications without additional charge.